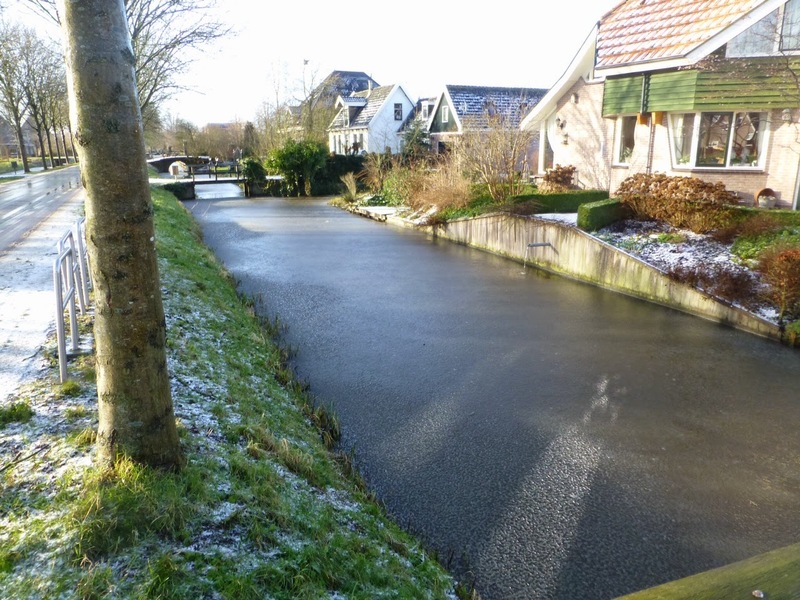 We stayed in Amsterdam for the remainder of our trip, after returning from our visit to Erika in Bernau, Germany. 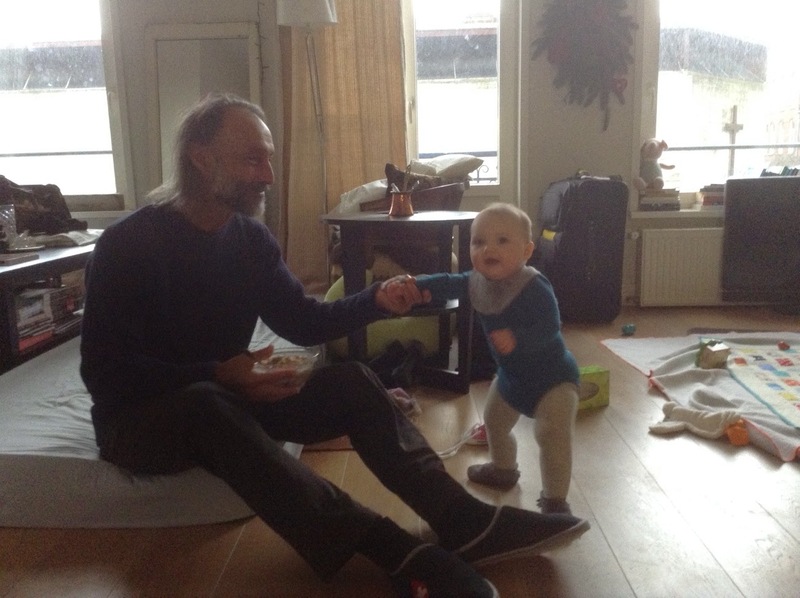 Our main focus was to be with Isla, although we did spend time with our friends, Maarten and Ineke. We had a comfortable Airbnb just down the street from Meredith and Elliot. Even though we often ate dinner at M&E's, it was very convenient to have our own place with a kitchen. 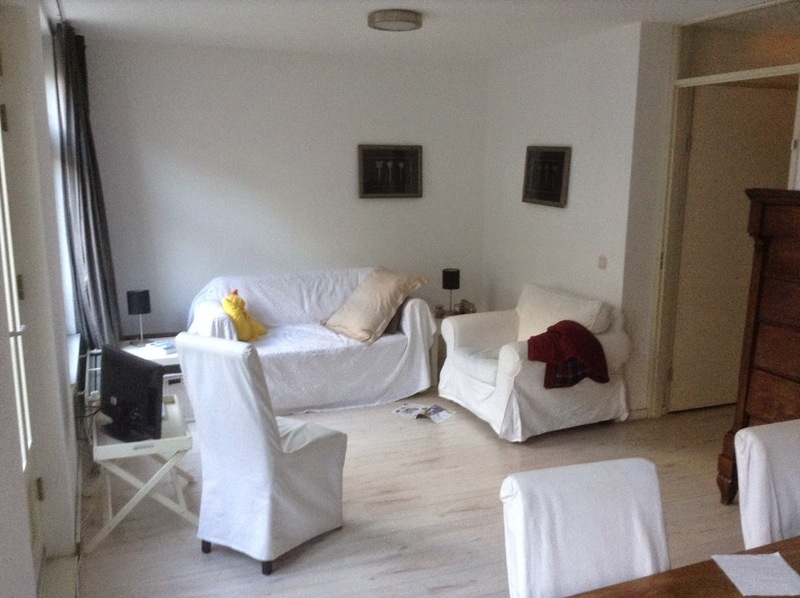 Living room of our flat. 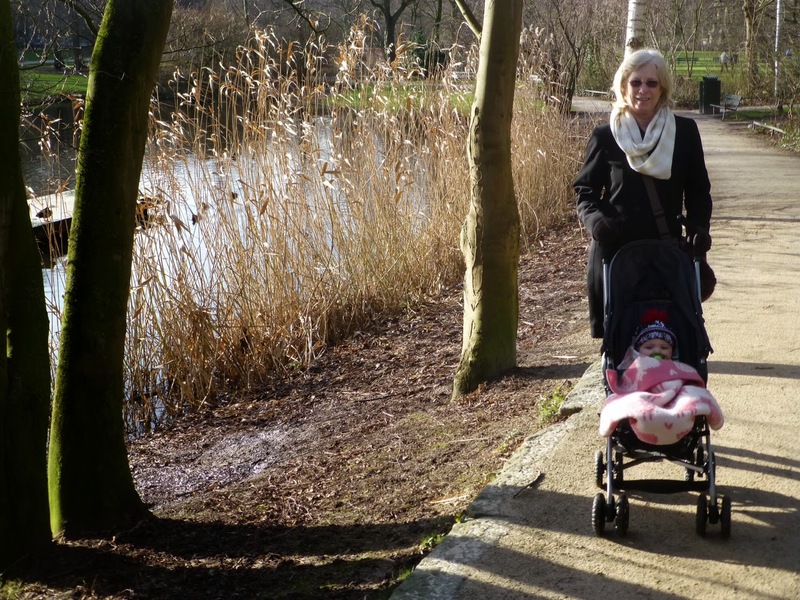 In spite of the cool weather (near freezing), we often took Isla for walks either with the Ergo or using the stroller. But it took a bit of preparation to get all bundled up. And we got lots of opportunity to sit and play with her. All bundled up ready for a walk. Isla loves to stand up but needs a little help staying up. 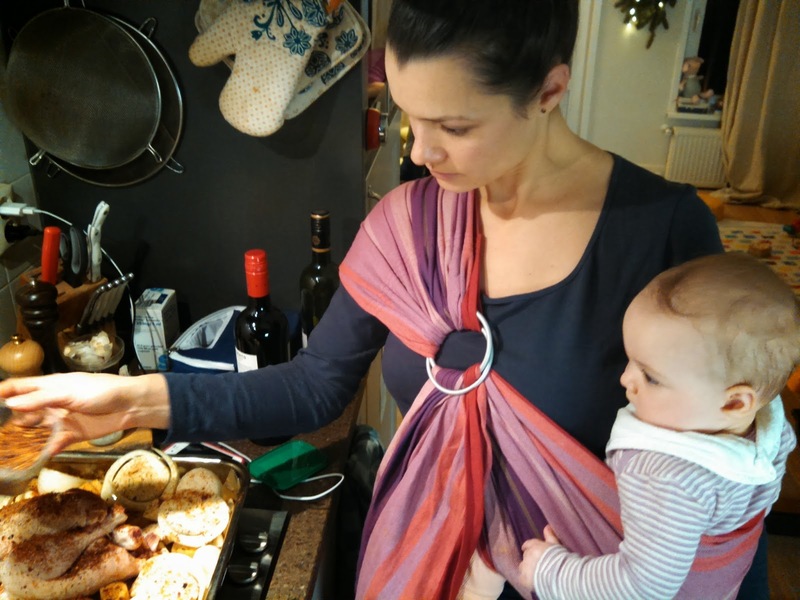 Meredith has gotten used to multi-tasking - doing such things as cooking while keeping Isla engaged. 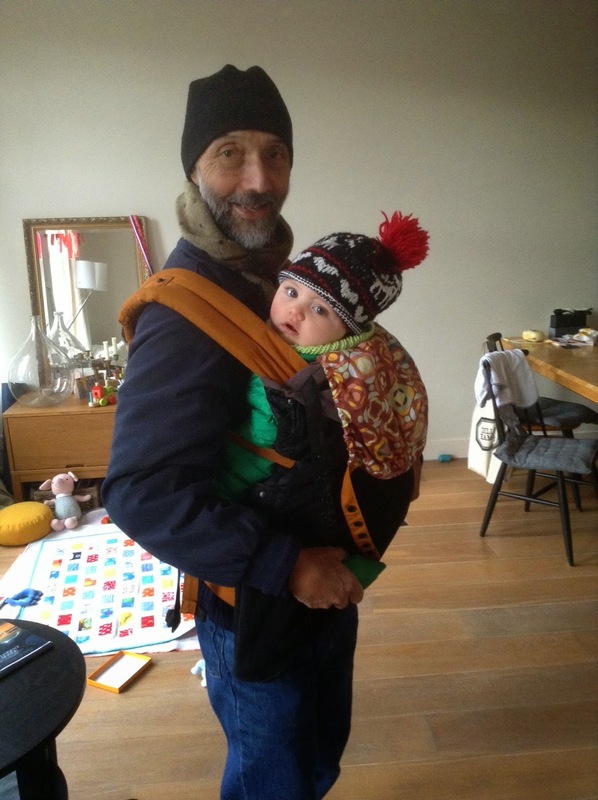 Carrying Isla in a sling is one way to make that possible. Isla keeps a close eye on what mom's up to. 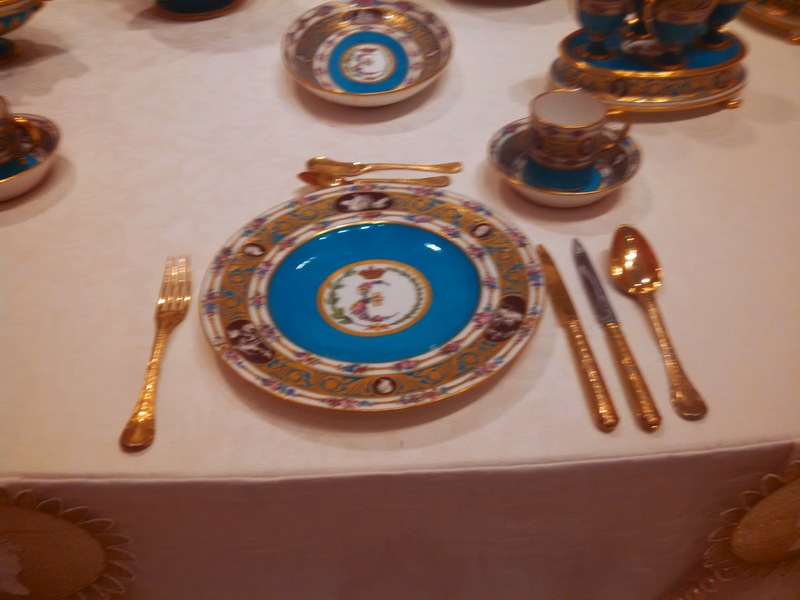 One of the activities we did was to visit the Hermitage Museum where they were having an exhibition of Dining with the Tsars. 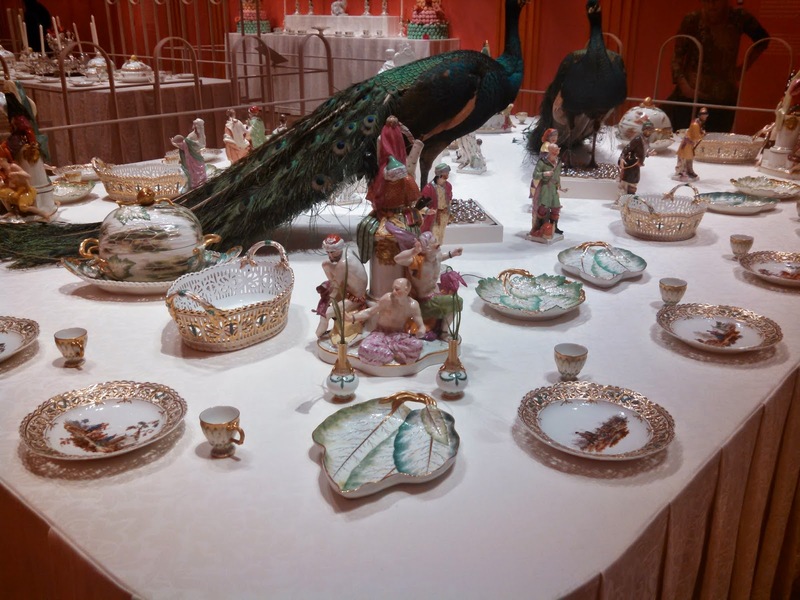 The porcelain services were works of art. This was the "Cameo" service consisting of 1000 place settings. 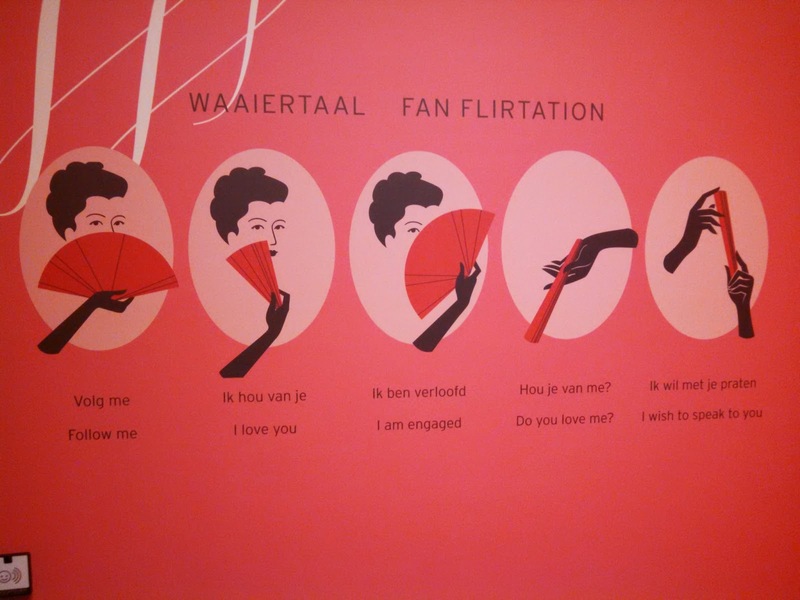 Fans, used by women were also used to communicate messages. 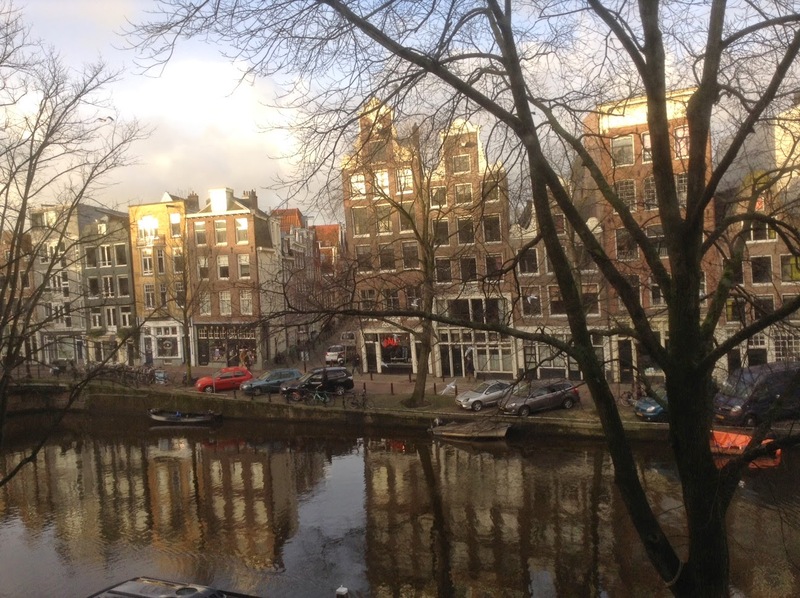 The Amstel River runs through Amsterdam. 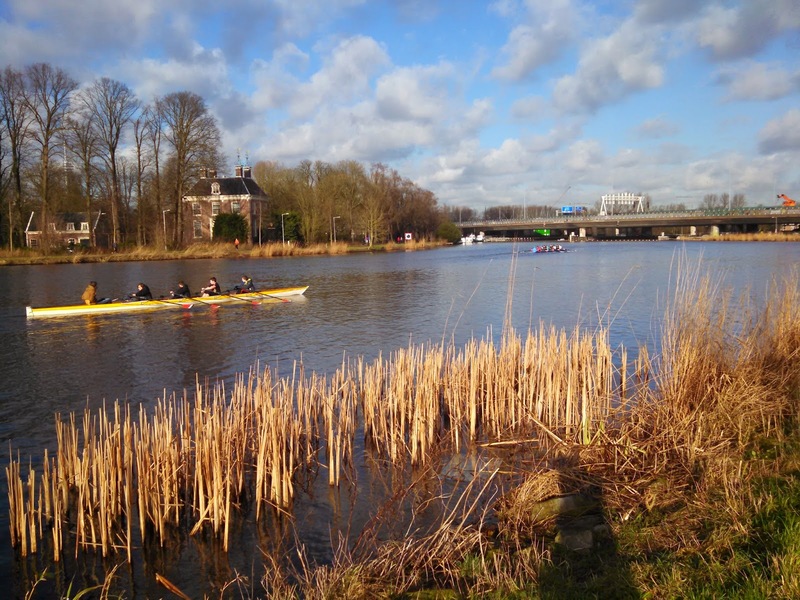 It's very scenic, with great walking and bicycling paths and is used by boaters and rowing enthusiasts. 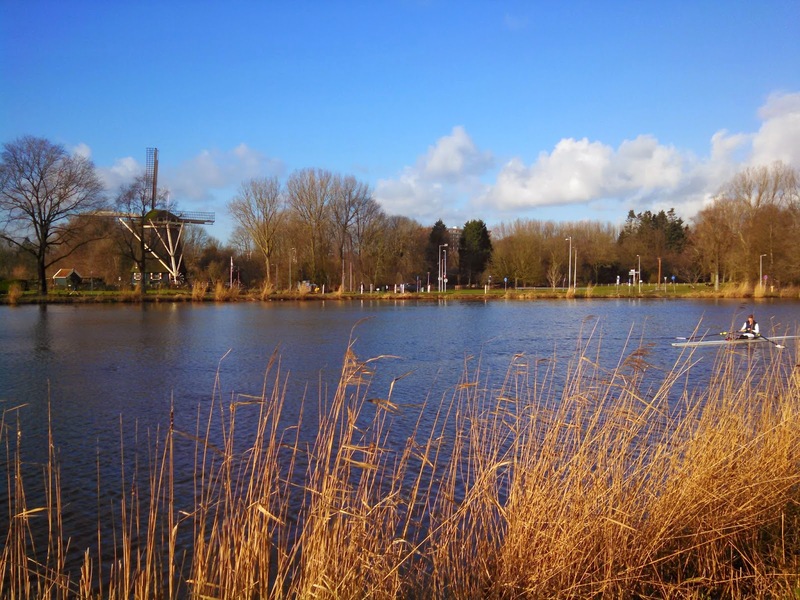 On one of the sunny days, I ventured out for a bike ride along the river. 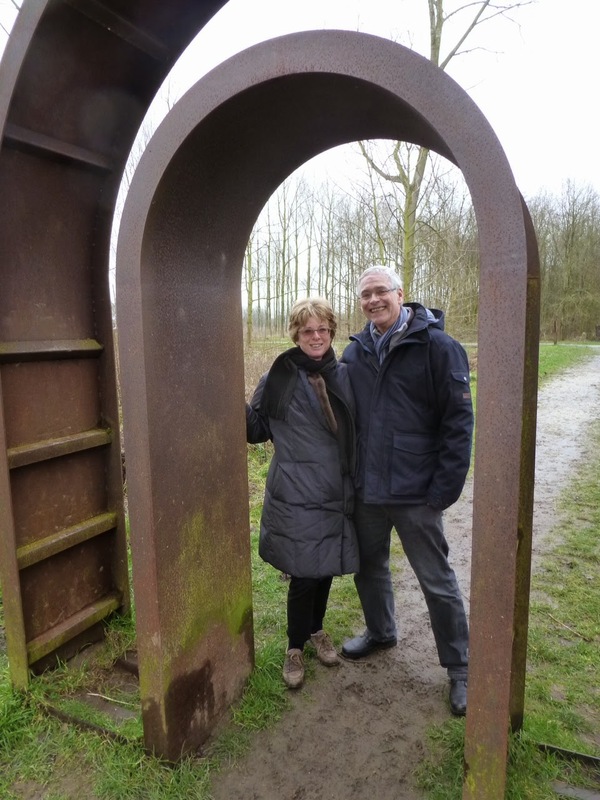 We spent a couple of days at Maarten's house in Purmerend. One morning we woke to find a light sprinkling of snow on the ground. 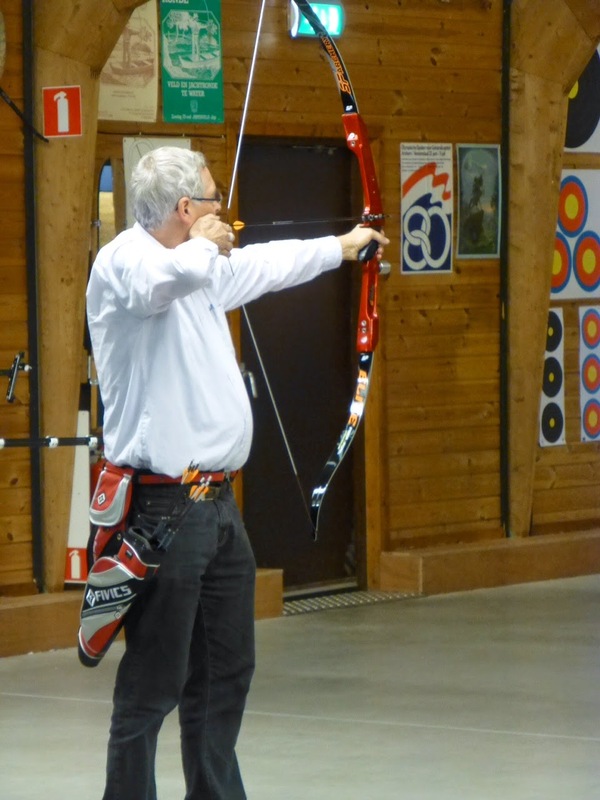 Later that morning, Maarten showed off his skill at an archery tournament. 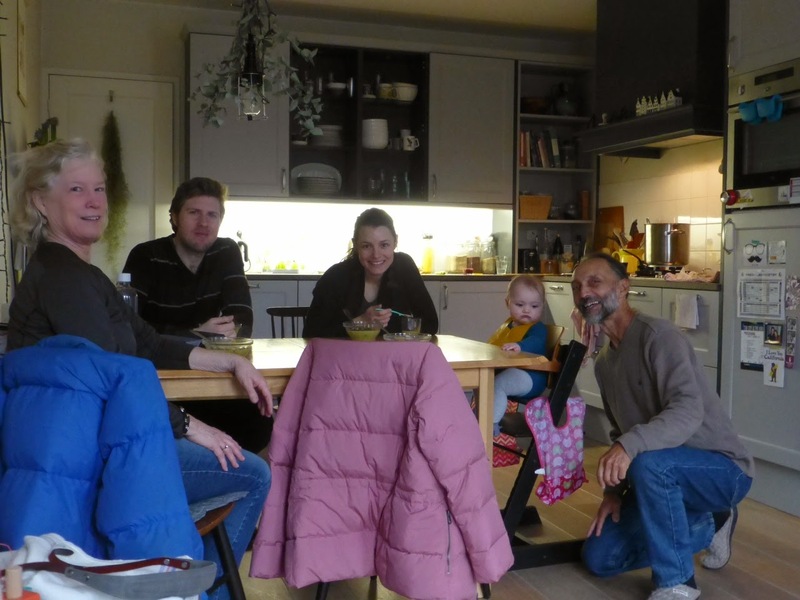 We also visited Ineke's home in Loosdrecht and had dinner there. 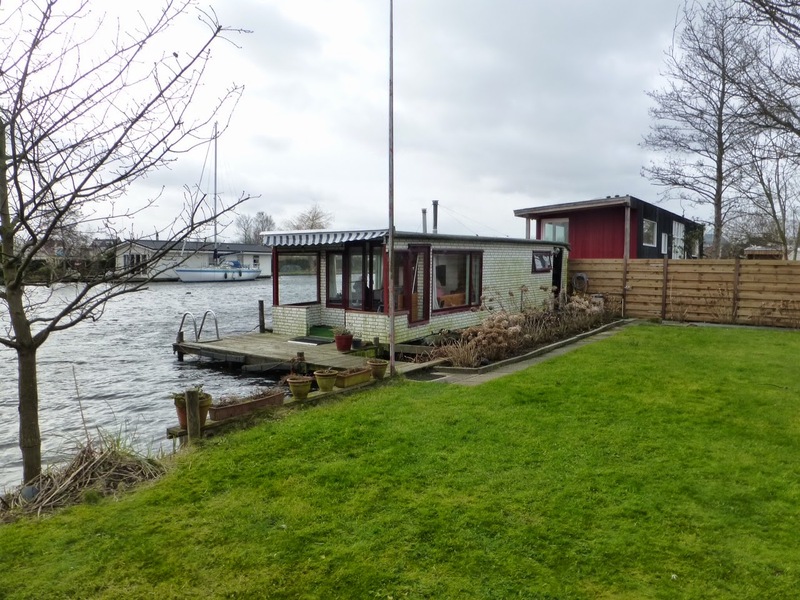 During the afternoon we checked out her "cabin on the water", a quintessential Dutch houseboat. 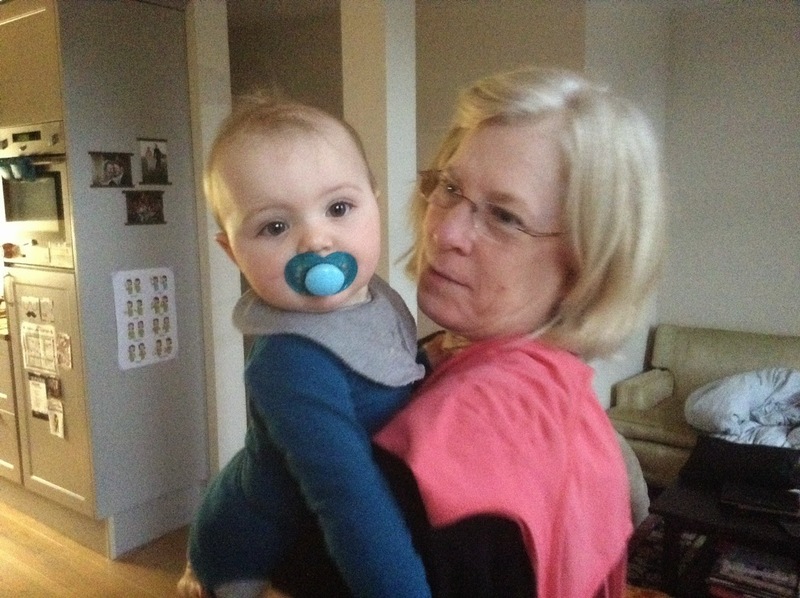 During the last couple of weeks in Amsterdam, both Diane and I caught severe colds. Mine seemed worse. Unfortunately, the colds limited our activities. But they didn't prevent us from enjoying the family. 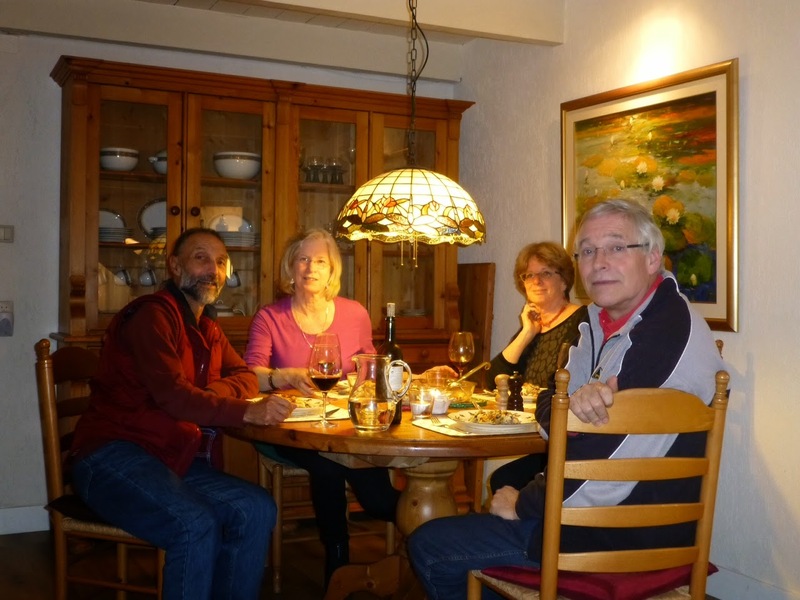 One of our favorite things to do was preparing evening meals and sitting around the dining table. 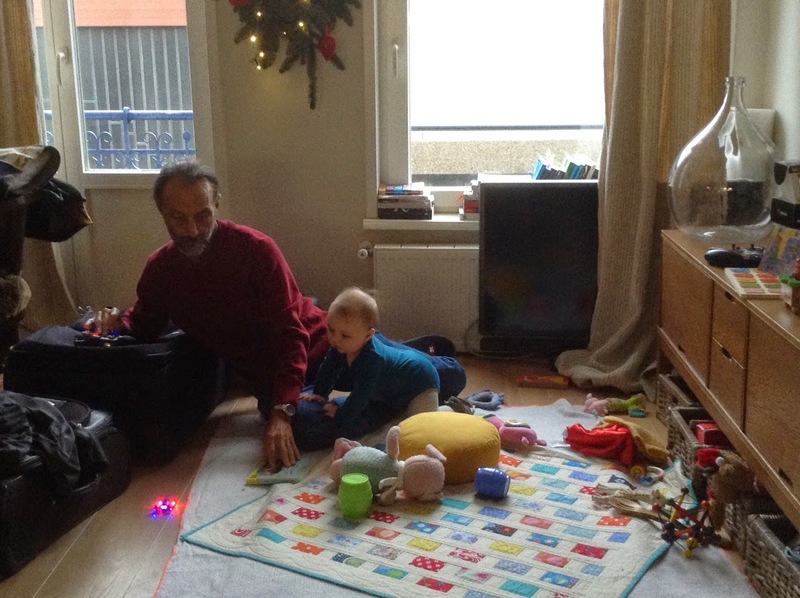 At home with Elliot, Meredith and Isla.